The bar is being raised for children in a disadvantaged suburb through the collective efforts of families, community groups, government agencies and business, reports Ellie Cooper. The Hive, a collective impact organisation in Sydney’s Mount Druitt, aims to create a network between previously disparate service providers to give children the opportunity to reach their full potential. “The measureable outcomes for children here are really quite poor in terms of health, numeracy, literacy, experiences of various family and social issues,” The Hive Director, David Lilley said. 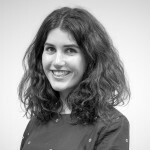 “At the moment you literally have all these organisations who are doing their own thing and there’s massive opportunity to join things up, and over time there’s really great opportunity to genuinely start doing things differently. Lilley described The Hive as a facilitating body that enables residents and service providers in Mount Druitt to drive the direction of projects. “I spent quite a bit of time late last year going out and talking to community members and local organisations about collective impact and about what we thought some of the possibilities and opportunities were – in a sense of asking for permission to come in and play the backbone role,” he said. The Hive, set up by the Ten20 Foundation and United Way with funding and support from the NSW Family and Community Services, launched this year with a broad philosophy. “We talk about The Hive as a number of different things. It’s a place in that we’ve got a community centre that was set up with a whiteboard and things so we can have workshops and create a presence, and we invite community and other stakeholders into workshop with us,” Lilley said. “It’s also a network. We’re trying to get beyond the idea that The Hive is just a small team of people, like an entity or an organisation, and try to think of it more as a network who are all trying to tackle the same sorts of issues. “We take the five elements of that quite seriously. I think a lot of people think they’re doing collective impact when they really haven’t understood the depth of it and the interconnections between those five elements,” he said. 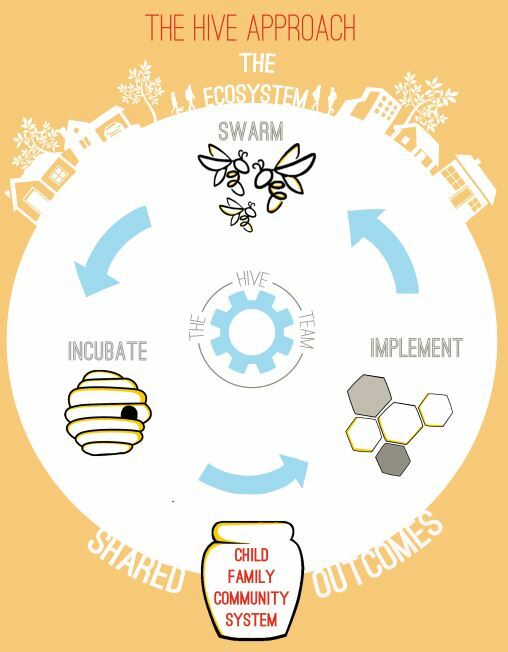 The Hive developed an “action-learning cycle” to communicate to stakeholders how they will achieve change. “Collective impact is a framework, but the way that we work with all stakeholders is very much a co-design sort of process,” he said. Stage one of Hive’s approach is the “swarm”, the first of which was held in March this year. The next state is the “incubation” with workshops designed to bring out different perspectives, generate ideas and create prototypes. “We take a fairly active role in initiating action in those areas and we do that really collaboratively,” Lilley said. “We work with testing and if things are not working in that area, what can we do differently, and more creatively. “And then we try to transition that over so it’s not The Hive team, or even The Hive network that are holding that are holding those pieces of work. Lilley said working with service providers has been a learning process, and The Hive’s approach has developed over time. “Originally we tried to engage with a really diverse group of service providers and invite them to a swarm event in March, but since then we’ve narrowed the work down and our immediate focus is on ‘transition to school’, so we’re primarily working with schools and preschools,” he said. The “streets-based community approach” emphasises in collective impact articles has also informed The Hive’s engagement in the community. “We’re doing something different right now. In the “transition to school” work we found pretty quickly the fundamental issue in terms of working with kids in the early years is a lot of kids here aren’t going to preschool. When we looked for data and information about who those kids are, no one had it,” Lilley said. “Everyone talks about the kids who are in preschool and how you support them from the preschool environment to a school environment, there’s this large group of kids who are not in preschool and don’t receive any services until they start school. “Then people start questioning why they haven’t been to preschool and why they don’t have some of the literacy, numeracy or social skills that other kids have. Going door-to-door also allowed The Hive team to ask broader questions about the community, build relationships with people, to introduce them to their work. “It’s early days but the response has been good and people are really excited that there are people who are taking a proactive interest in their children,” Lilley said. Lilley said one of the major challenges for The Hive has been convincing grant-givers that collective impact is worthy of funding. “We’ve been really clear since first engaging with the sector last year that we don’t want to compete with people for core funding, for service delivery funding, we don’t want to be in the service delivery space,” he said. “We see our role as being facilitators or collaboration, basically supporting the local service system to work better. Lilley highlighted that the private sector has funding provisions for coordinating bodies, but it’s yet to fully catch on in the social sector. “If you’re working on a physical infrastructure program, if you’re building a bridge, then typically you’ll have a project management firm that’ll occupy that 20 per cent of the budget, and that budget is purely to coordinate all the different pieces of work, from urban planning to approval processes,” he said. “When you come to somewhere like Mount Drewitt, there is no one who’s funded to do that work. So we’ve got literally a couple of hundred service providers who all have a role in Mount Drewitt, who all deliver something, and there’s no one responsible for joining all of that together and trying to coordinate it. Lilley said an early challenge for The Hive was to facilitate genuine collaboration between community and a raft of other people. “It takes a lot of time and I think people are quite impatient. Once you’ve been operating for a couple of months people want to know what you’ve achieved for children,” he said. “Obviously we’re really keen to get outcomes quickly, we want to get the quick wins and the long-term wins, but just putting all the infrastructure in place takes time, and working with people in a respectful way and genuinely including community takes a really long time. “You need to spend the time to understand community voice, obviously in a community as big as this – there are 60,000 people here – there are really diverse views among community so there’s quite a lot of work involved in preparing the ground, hearing the voices, starting to join people up, collectively identifying priorities. Lilley said The Hive is designed to coordinate services long-term and hopes it will stay in Mount Druitt for at least 10 years. “In an area as large as this I don’t think you can actually reach that point where you’ve joined everything up and people are working efficiently and effectively and everything is fine,” he said. “There are so many service providers and funding is coming and going for different programs, so we’re trying to be a stable influence. “Whether they’re from government, corporations or philanthropy, most funding is still in one, two or three year funding cycles. Lilley said in the future he will aim to expand The Hive’s influence to perform a coordinating role for funding. “When you’re looking at an area like Mount Druitt, how do you influence funding so that the funding processes themselves are more coordinated, so that it’s not just a bunch of different programs that are contracted separately without consideration with each other,” he said. “You would get greater coordination of funding programs and greater levels of community involvement in some of those.